Yes you do and some of you are going to think, ‘I’ve got a website but it doesn’t work, doesn’t do anything.’ It’s because unfortunately, I am going to be blunt, your website isn’t set up to do online marketing. It’s been set up by a web designer or by someone who simply didn’t have the knowledge of how to do online marketing. Don’t blame them. It’s not their fault. Not everyone can know how to do it. Now for those of us that do this stuff, quite a lot of us will say, ‘Oh I need more visitors, more web visitors, more traffic,’ quite often called traffic. Never quite understood. Like in shops called footfall and traffic and so on. It’s an odd thing but web visitors, people, eyes, etc., on your price. Now people will want search engine traffic from search engine optimization where you set up the website in a certain way that google thinks you are wonderful and puts you at the top rankings or higher up the rankings when people do a search for keyword terms in your sphere, such as in mine, fire protection, they might search for best smoke alarms for home or something. We want to come top for that. Don’t think we do. But haven’t checked lately. But that is not easy. It takes time. Now those in business that just generate tons and tons and tons of traffic, they do it by paying. And this is secret to lot of people but its there. Most of us are adverse to paying for things online. And I mean, in relation to our website for getting people to our website and the reason for that is because, quite often because we’ve been convinced that using the internet is easy. It’s just there. You just put up a website. People just search for google and they find you. It’s magic. It doesn’t cost you a penny, once you have designed, once you have got that website, it just happens. Well sorry to say. It doesn’t. And the experts, the big organizations and the ones that do affiliate marketing, getting commissions, they can get as many people to their website as you can throw a stick out. But they pay. There are ways of paying for traffic. You can advertise with google AdWords. You can advertise with Bing. Same thing. You can advertise on Facebook, you can advertise on Pinterest, on Instagram, on twitter and all the social media. But in addition, there are tons, and tons of online advertising platforms, such as AOL. Yeah, remember them. They owned a whole bunch of platforms and even google. Google has double click and there are organizations, if you look on highly trafficked sites or publications, if you go to a magazine or a newspaper or tabloid website, generally scroll down and you will find adverts for everything. Normally they contract an ad platform to put those adverts there and there is a cost per click and cost per display. But the experts will track all of this. They will track the clicks, the visitors from that specific ad. Not just that website, or that page, but from that ad because they will have different versions to try and find out which one works best. They will track all that and they will know that if they sell a product, their cost say 100 pounds and for instance they make a profit of 50 pounds on that product, they know that they’ve got 50 pounds to play with. Or if they want to, because they don’t always necessarily make a profit on that first sale. Quite often it’s on the follow up sale, on the back end, on the things that come up afterwards. On the up sale, on the option, on afterwards. You know when you buy something from a mail order company and then they send you lots of offers and they send you catalogue after catalogue, voucher after voucher for ever more. That’s because they know a percentage of people will buy again. And that’s where they make the profit. So they will track this and say for instance, if they have 1000 people come to that website, and one out of every 10 out of every 1000 buys something, they will be able to work out how much they can spend. So, they will know that 10 sales will make 500 pounds. They can spend, say 400 pounds, divided by 1000 visitors and is that 40 pence per click? Think they pay 40 cents per click, but they are still in profit. If they can get it for 12, 12 pence per click, 15 pence, 30 pence, they are making more profit. And these are the things. Once they get those kind of figures, then they can spend 10000 pounds a day or a 100000 pounds a day. And believe me, there are people that spend more than that. Unbelievable. Because they know their metrics. But it’s not just that. The traffic is not difficult. You need to know your target audience. That is it. You need the right type of visitor. It is no good, if you’re selling landscape, here in the garden, Kent, in England. If you are selling landscape gardening services and you are based in my town, it is of no use. You putting an advert in the New York Times. Advertising and getting 50000 visitors to your website in a day for $20000. Because none of them are going to buy your services. And it’s simple as that. You want to advertise to people within your radius. And with Google AdWords, and with Facebook, you can target demographics, and Bing and the other ones like that, social media ones. In Google AdWords, you can advertise within a distance of a postcode, of a point. So put your home postcode in and you can advertise within 20 miles, 50 miles, 10 miles. Something like that. 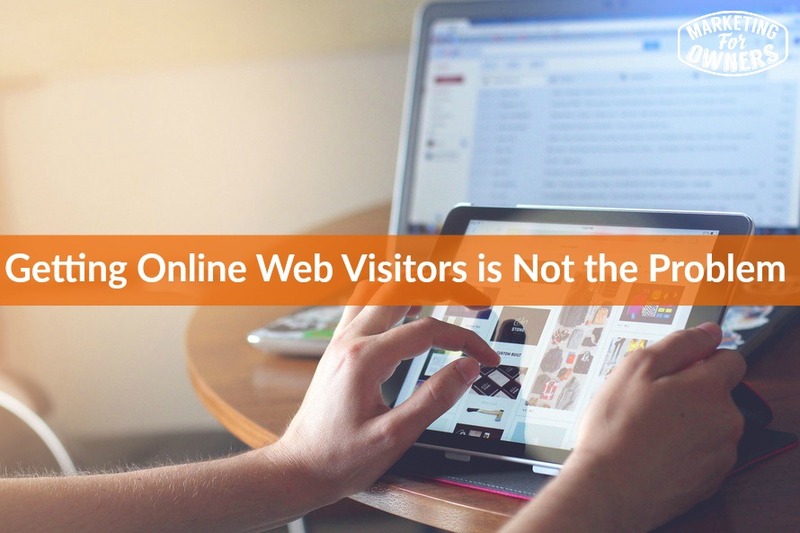 And so you won’t get many visitors but you will get visitors that are potential customers and this is what’s important. Whether it’s advertising online, advertising offline. In the offline world, when you put it in yellow pages, you generally put it in your regional yellow pages. But that’s as far as it can go. You can advertise in yellow pages probably per county in the UK, per county or per region. And that’s it. Beyond that it’s not much more you can do. Online you can specifically get the demographics or the psychographics in and you can get your exact man. So you need to know your potential customer. Now on the marketing for owner’s website, you can find out these sort of things in the Owners Club. So if you go to www.MarketingForOwners.com/join because that page is free, there is lots of information in there to help you find out this kind of thing. What I recommend is our free course. Just go to www.FreeMarketingCourse.co. In 12 days, it’s an entire marketing course on how to do it from websites through to finding your potential customers through to converting them from lead generation system. Over 12 days you will have one email delivered in your inbox every day. Little short video. Five, six, ten minutes. That’s all it takes. Its explains everything for you. Go there www.FreeMarketingCourse.co. That will show you how to find your ideal customer because if you are not advertising to that person, you are throwing money away. You can get as many visitors to your website as you like. But make sure they are people who are going to be interested. That’s it. It is a Monday and that means it’s time for Book for the Week. And this week, as Jon Lee Dumas would say, it’s a doozy. 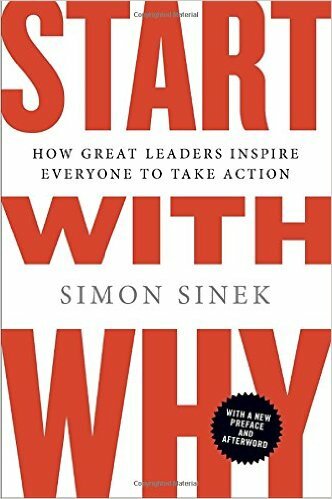 Our book is written by Simon Sinek, and called ‘Start with Why’. In my business, I talk to people about the 5 question and in actual fact the first question is why and in a fact why are we doing this. And this covers a whole gamut of stuff. It’s one of first to five question. There are a few exercises to go through. But there is a reason you started your business. He charges something like 50 or 60 thousand dollars for a speech. He is that good and people pay it. Its brilliant, the book is great. If you’re doing the narrator’s version, I am pretty sure he reads this as well. So go check it out, Start with Why, Simon Sinek. Be sure to come back tomorrow for more amazing marketing business.